The Yamaha contenders made a good preview of what’s going to happen on Sunday’s race day as experienced rider for premier CP130 class Ahmad Fuad Baharudin became third fastest man behind Azlan Shah Kamaruzaman and Norizman Ismail on Saturday’s Timed Practice session for the 2012 PETRONAS AAM Malaysian Cub Prix Championship. Fuad of Faito Motobert Racing who won third place in Round Three and Four grabbed the third fastest for this session in good style. The experience paid him well through the corners of the track as not only his machine was up to the standards but so was his riding style. Fuad made his fifth lap his fastest with 57.513s time. For the CP115 category, Mohd Iskandar Raduan became Saturday’s fastest man. Bringing his seventh lap to be the fastest for the day brought relieve to his team, PETRONAS Syntium Moto Yamaha AHM. Iskandar made his best time under 58.625s for CP115B. Second fastest Yamaha rider for the day is Ahmad Afif Amran of CKJ Yamaha Racing Team. 17 year old Afif who is starting to make waves for himself sealed his 13th lap in just under 58.772s behind Mohd Haeikal Akmal Zakaria. Third fastest Yamaha rider for the session was Shahril Izzuwan Mohd Noor. Riding in the same camp as Iskandar, Shahril ruled out any backlash as team strategy is their topmost priority. Shahril who recently came to race in the class, made his sixth lap his fastest in time of 59.197s. For the younger Wira class, the leader in points, Mohd Hafiz Nor Azman became the fastest for Saturday’s session. Hafiz riding on a Yamaha prepared by Team Mos Track Pro Yamaha had 59.405s under his belt, securing it in his tenth lap. 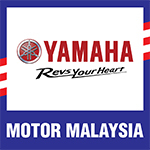 Second fastest Yamaha for this class was Tengku Amirul Haffiruddin of Motul YY Pang Racing Team fame. His absolute skills brought serious trouble for the rest recording his time of 59.509s. Coming close behind was Che Ku Amriq Asyraff also from CKJ Yamaha Racing Team while Tengku’s teammate Mohd Izzat Zaidi Mohd Salehan became fourth fastest Yamaha rider. The Yamaha 135 Super Series PETRONAS had one uplifting session as the boys did well recording faster time in each lap. Izzat this time became the fastest (1:01.277s) followed by Nurahmad Fariznazreen and none other than Mohd Nasri Mohd Ishak. The testing ground for Teluk Intan on Saturday marked a great battle come Sunday when confidence and determination took over. This time around, it looks like the Yamaha boys will again chant their battle cry to see who will prevail.